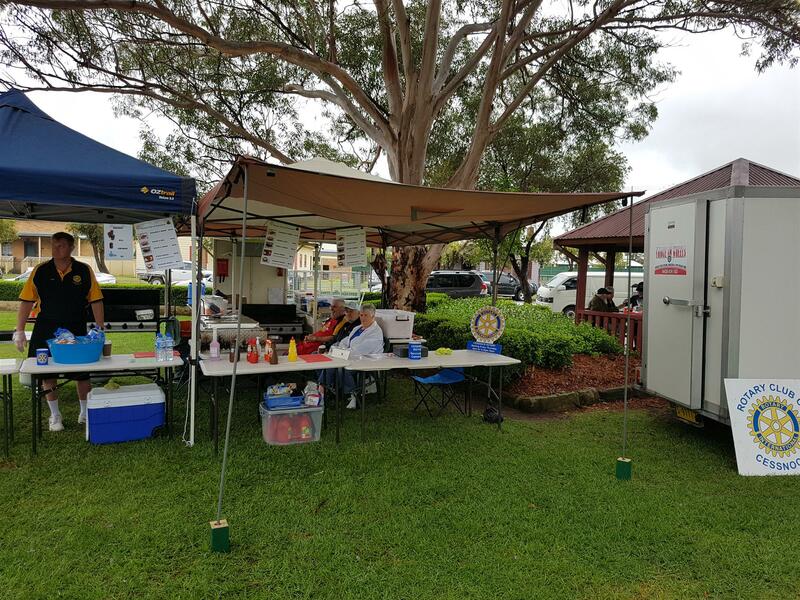 On a cool and rainy 5th November Cessnock Rotary Club once again braved the elements to operate the Sausage Sizzle at the Annual Postie Bike Racing Carnival held in the grounds of Cessnock TAFE and the surrounding public streets. On the front line were Club members John Rosee, Vicki Steep, David Clark, Steve Jackson and one of our valued volunteers, Raylene Jackson, whilst in the background under the shelter shed wrapping the sandwiches was our erstwhile PP Ross Lidbury. Crowds were down slightly on previous years because of the inclement weather but in the periods when the rain stopped the crowds came and we were all kept quite busy. 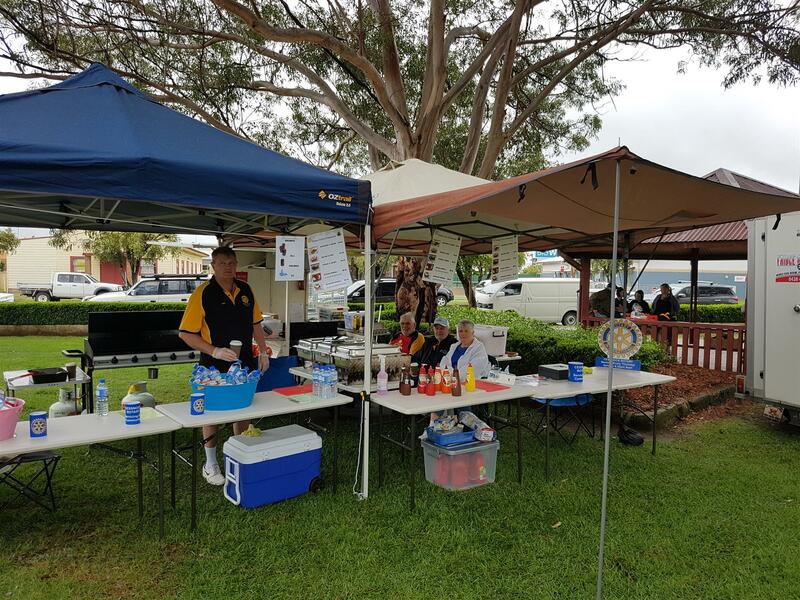 Meanwhile President Graham Farish and Bev Hannay with assistance from members of the Rotary Club of Kurri Kurri and the Girl Guides were doing a marvellous job running the VIP tent within compound adjacent to the pit area.